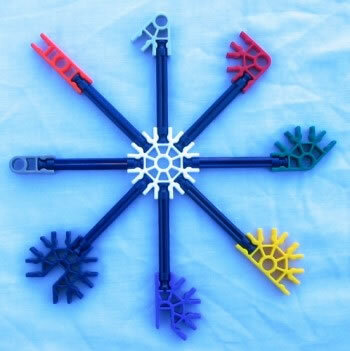 All KNEX connectors can be connected to at least one KNEX rod, and the largest can be connected to eight rods. 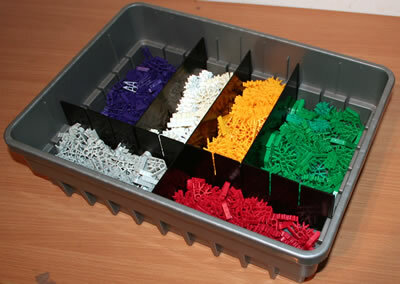 To help gain familiarity with KNEX connectors, make the model shown below. 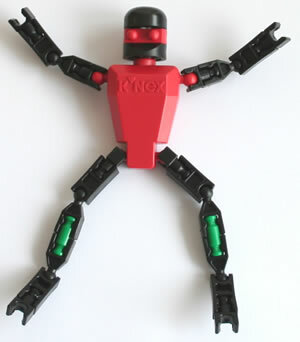 The angle between any two adjacent rods connected to a connector is 45 degrees. 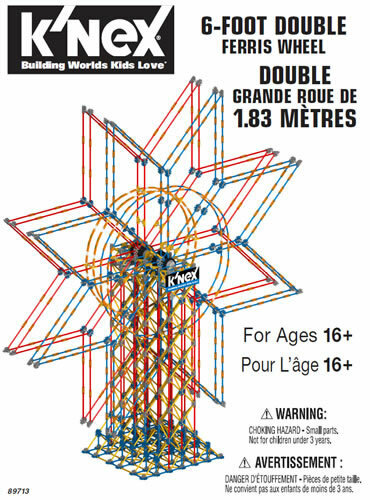 This makes KNEX very good for making shapes that have angles of 45 degrees, 90 degrees and 135 degrees, such as squares, rectangles, right-angled triangles and octagons, as you will see in the next few Activities.